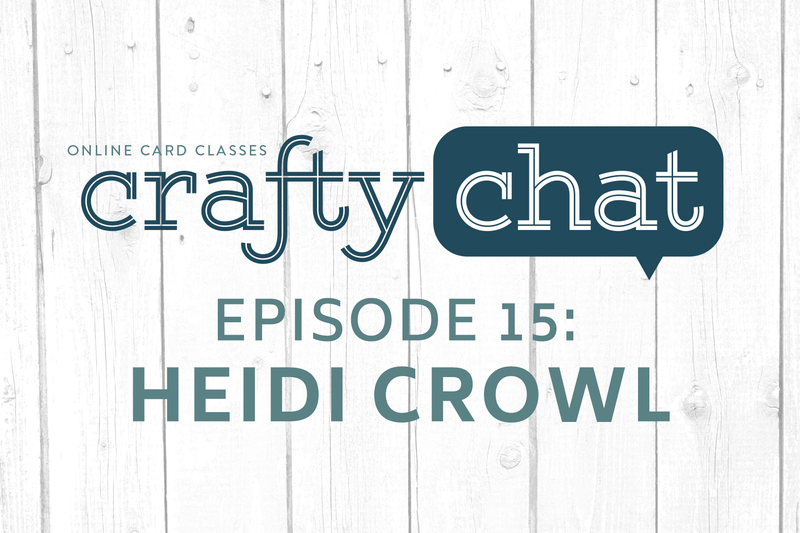 In today’s episode, Heidi Crowl, the owner of Simon Says Stamp is chatting with us about Stamptember – a month long celebration of stamping hosted by Simon. She’s also going to give us the details of their Dream Craftroom Giveaway – you won’t want to miss this! Enjoy the chat, along with a few surprise sneak peeks just for you! Remember, if you enjoy these chats and have someone you’d love to see on Crafty Chat – leave us a comment! I just love listening to these chats. I also was one of the purchasers of the Lawn Fawn release with Stamptember celebration and received in less than a week. Love this month because of it. So much info and products being released. I have entered the big craft room give away. I only wish I could take the month off to play. I loved how Lydia says “HI Heidi” reminded me of a doll I once had. A card drive for your favorite charity would be a give back doing what we love. There is a farm in my town that give to children with cancer that my class reunion had raffles and proceeds went to this farm. I made a year in cards (3 x 12 cards) that were raffled off. It felt good to create those cards for a good cause. I love Lydia and the duo of Kristina and Jennifer are the best. Thank you Heidi for all you do. Thank you ladie!! Hi: I would like to see Ellen Hutson! So many possibilities! How about Lavinia Stamps across the pond, love those fairs and the Gelli plate and alcohol ink techniques she uses. Also, Vicki P from Greece. Whoops, I meant I love those fairies, not fairs. Hi! I love the crafty chats, it is so fun to hear about all these people I admire. I would to see a chat with Nichol Spohr Magouirk and about how she comes up with her designs and the scenes she does with the cards. Tim Holts would be a good one also. Love Lydia’s idea of organization month. It should definitely be in January, when we are all hunkering down in the winter, and recovering from the holidays and trying to get our lives back to normal. Hey! I got it, “Organization-ary”, get it??!! Haha, I’ll keep at it.